Experience the most popular sub-ohm tank on the market today in a scaled down and equally powerful form. The Smok TFV8 Baby Beast offers a portable solution to your cloud desires with three signature turbo coils condensed into miniature form, blasting clouds of substantial magnitude. Flavor is taken heavily into consideration in Smok's TFV8 Baby Beast design containing the purest cotton coils and an ingeniously crafted chassis. A precision airflow control provides the vaper the option of wide open and flavorful clouds or a more restricted draw for the mouth to lung vaper. Fill your juice with greater ease utilizing the TFV8 hinged top fill cap and prevent excessive spilling in your vape juice filling process. The delrin drip tip found on the Baby Beast prevents excessive heat and makes cloud production second nature. Be sure to buy a Smok TFV8 Baby Beast Sub Ohm Tank today! WARNING: This is an advanced Item. Please use at your own risk and always use proper precautions and handling. Do not use a short or flat 510 connection on any hybrid or hybrid style device in conjunction with this item. If unsure whether this pertains to your particular set-up, you may contact DirectVapor Customer Service. DO NOT assemble or use until you are certain. Smok coils for this tank are terrible. Mine has been laying dormant for the last 6 months. Bought some of the new Geekvape mesh coils and plugged them into this tank, WOW! New life has been breathed into this tank. I had high hopes for this tank and was very disappointed when half my juice seeped out of the vent holes, over and over. 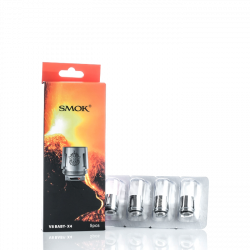 I tried every fix the internet and SMOK offered... no luck. Just wish i had not bought so many extra coils as this tank is going into the trash! Nice flavor and clouds but SMOK needs to rethink this design. Bought as extra for smok TFV8 starter pin kit, good flavor and good clouds. I have used this in casinos not to bother other people and still enjoy the flavors. No leaks and a very well made product. Bought this in a starter kit with the Smok Pro Color 225w. Works great, love the 5ml capacity. It does eat through juice and battery pretty quickly but what do you expect. Changing coils can be a pain, especially if you thread your 510 connection to tightly, but overall its not to bad. The flavor, vapor production and capacity are enough for me to overlook the week points in this tank. P.S. To those having problems with leaking, make sure you are not cross threading the threads when screwing in your coil to the base, it is very easy to do this by accident. Also over tightening the coils can damage the o-rings causing leakage. I bought this tank for my Vaporesso Tarot Mini as I couldn't really stand the Veco tank it came with (yeah, the cheap coils and easy replacement is nice, but not quite as functional as I was hoping). The Baby Beast is definitely an upgrade, and provides way more flavor/vapor production! It fits perfectly atop my Tarot Mini as it's the same size as the Veco (22mm), and it just looks [email protected]$$!! I would definitely recommend this tank!! I have vaped on and off of these tanks for about a year now and I have to say, the flavor is about a 10/10 on the first tank full of juice. After the first initial tank full on a new coil, the flavor drops off considerably. The coils go out so dang quickly too. The TFV8 Big Baby tank is much better than this tank. The cloud production is about a 7/10 for me too. If you're wanting good flavor and huge clouds, go with the TFV8 Cloud Beast or the TFV12 Cloud Beast King. After purchasing my SMOK AL85 kit which came w/Baby Beast, I was sold! Then wanting longer battery life I bought the SMOK Alien kit...I now have a total of 5 kits! This tank is effortless, except I do agree w/the above reviews in regards to changing coils. I only do so when the tank is close to being empty as it can be messy. 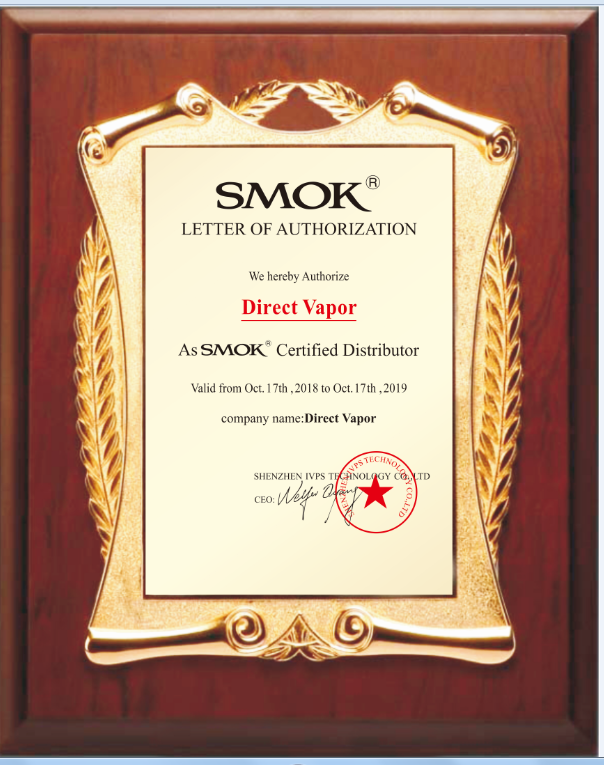 As for reviews regarding needing to change coils frequently I am at a loss as my coils last forever & I’m only running 2-of my SMOK mods at a time. Maybe I’m vaping at a lower watt-I’m not really sure. But I can tell you I’ve never had any leaking problems, no dry hits, nothing but pure joy from this tank. I’ll be a customer for life, & after 5yrs of vaping, I may end up owning every color they make! I was instantly satisfied with this tank! By far the best flavor I've ever gotten from one! Coils need tb changed every week. This is one of the worst tanks I've used so far. The tank lid does not stay latched and if you put your pen in your pocket, bag, purse you're risking having something filled with vape juice. We have basically had to stop putting the pen in anything and keep it in the up right position at all times. We have had the same experience with 3 different baby beast tanks. I highly suggest finding a different tank until they improve the latch on the top. Going to switch back to a vaparesso tank with a ceramic coil. Had it for one night and saw little leakage but no more than i expected when purchasing this product. Very impressed with its performance so far. I have a few different tanks, and this one is by far my favourite. I actually like it better than the Big Baby Beast, as it seems smoother to use. I use it wide open and prefer the .25 coils. Great stuff, well made and no leaks. The only thing that you have to watch out for is closing the lid on the tank, as the top can cut the rubber gasket. No big deal as it comes with an extra and replacements are really cheap. Once you know to close it carefully, this won't even be an issue. Highly recommended. I got the Baby Beast and used it for about 6 weeks after several friends recommended it to replace my original Crown tank. At first, I absolutely loved it. The flavor and vapor production are just amazing. The slide open top fill cap is likewise fantastic. Changing the coils however was a bit of a messy chore. It has to be pretty much empty to change out the coil and I absolutely despise the system of having to screw the coil into both the top and bottom sections of the tank. Its remarkably easy to overtighten and strip the threads on the coil, which means the tank will just pop apart, usually after you've freshly filled it or attempted to adjust the air inlets. At first this was only a minor annoyance, but I rarely got more than 2 - 3 days out of the Q2 coils, so I was experiencing this annoyance far too often. The last straw came last night when I had to swap out coils and had a bad coil in the pack. I tossed it out and loaded in the last coil I had. I thought it was screwed together well, but it wasn't and right after topping off the tank to let it start wicking, it popped apart and dumped the whole tank of liquid in my lap. I just tossed it in the trash and remounted my old Crown tank. Today I'm shopping for a new tank. I truly did LOVE the flavor and vapor production of the Baby Beast, but that coil change system needs a dramatic overhaul. It's just too much of a hassle and detracts from an otherwise amazing tank. I have had this tank for about a month now. I absolutely love this thing. I am using an alien 220 with it. (paid $120.99 for the whole setup at local vape shop) Great clouds. My buddy has the cloud beast and there is not that big of a difference other than the size and juice capacity. My absolute favorite tank. Good combo of clouds and flavor for pre built coils! It's also been sturdy, bumped around in my purse on a daily for a month now with no problems. Even laid on it's side for 24 hours without leaking. You might enjoy jumping through hoops to get coils! I do not!!! From now on its rebuilds for me. Pros: lots of coil options/cool or warm vape as your preferences demand. 3ml capacity... never leaks. Clouds and flavor galore! Cons: changing the coil is easy but messy, can't be done with liquid in tank. Top fill hole is small, cap doesn't lock closed. The review by RondyR says this tank has 2ml. Both this site and the Smok site says it has a 3ml tank. Have two Kanger Toptank Mini's, and the flavor of the Big Baby is way better. I have had no leaks. The only down side for me is the small size of the refill hole. If you use an e-juice with a dropper, I would suggest getting a unicorn bottle to help refilling. But yeah the flavors are heightened greatly compare to the average tier tanks like Kanger and Triton. So far I'm running it for a week and it has not burned out yet. My buddy has the same tank it last him roughly 2 weeks to 3 weeks. What I really like about the tank is the open top design, which open in a literally flip of the cap, making filling the tank very easy. It snapped back pretty tight so in your pocket it shouldn't pop open. The air vents is quite a pain to turn though. Overall, the black color one go really with my red and black color RX2/3 mod. The size is very minimal too which looks really compact if you're going for that look. but i expect a few clouds will be rolling in! killin it with those one liners. it's well built, high quality, overall pretty, pretty, pretty good. This tank is the best that I've had so far this tank can chuck clouds for the size that it is and it gives off good flavor but the only down side is that it's a juice guzzler. All-in-all a good tank. Issues thus far are probably more user error than anything else. Some leakage issues. Do not, I repeat, do not let this thing get anywhere close to low on liquid or you will burn the out of the coils without realizing you were even low on juice. Great flavor and clouds once you've got you mod settings dialed in right though. I eventually just switched to temp control to help reduce the risk of burning out coils. Just wish there were a wider tank which held more liquid without without the commitment to size of the full blown beast. 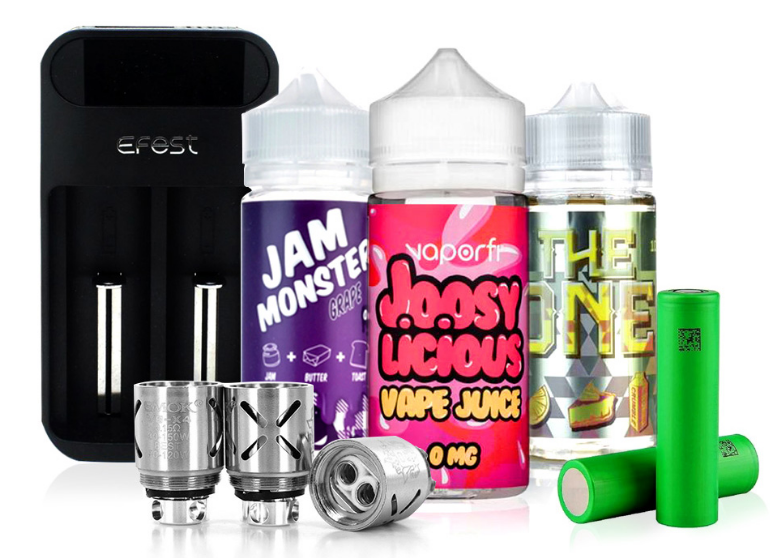 Perhaps a variation glass similar to the Aspire Cleito will surface at some point. Four star worthy all day. Just bought one last night at my local shop (for nearly double the price listed here; gotta love getting bent over by your local B&M store) and man, I LOVE this tank. It only holds 2ml, and that is the only con this tank has. Great flavor, great Clouds, and NO LEAKING!! I've had tanks from Kanger, Innokin, and so many others that just leak like crazy, and the leaking has been the only thing keeping me from switching to vaping full-time and tossing the cigarettes in the trash. Don't hesitate - buy this tank. And at this price, I'm buying another one today from this site.